Amazon planning drive-through grocery stores? Amazon is a dominant force on the internet, selling pretty much everything under the sun. But it appears the e-commerce site now has plans to pedal stuff in the real world too. We say 'stuff', but what we really mean is groceries. 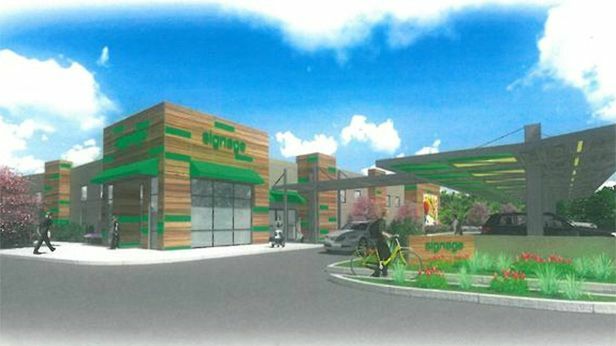 According to a newreportby the Silicon Valley Business Journal, Amazon wants to set up a drive-through grocery store. The concept is rather neat: you order your greens online, book a pick-up time and then collect your shopping en route home. Simple as that. And the first location Amazon apparently wants to set up shop is Sunnyvale, California. It's reported that a real estate developer has already submitted plans for a 11,600-square-foot building and 'grocery pick-up area' at 777 Sunnyvale Saratoga Road. It's currently unclear whether Amazon plans to bring its grocery stores this side of the pond too, we'll have to see how it does Stateside first. This wouldn't be the first time that we've seen Amazon sell groceries either, believe it or not. The company has offered online grocery shopping since 2007 with AmazonFresh. The service has become so popular that it's being tipped for an imminent UK launch.